New release. The Nextivity Cel-Fi is the first repeater designed specifically for the T-Mobile AWS band, which is used for their 3G and 4G services. With the Nextivity Cel-Fi you can boost your T-Mobile 3G/4G signal over a massive 13,000 sq ft. That’s not all though, there are a number of features which make the Nextivity Cel-Fi unique, and one of the most exciting new products we have had. The Nextivity Cel-Fi T-Mobile booster covers the T-Mobile 3G/4G band, and is the first consumer repeater available. This band is called the AWS Band, and operates on the frequencies 1710 to 1755 MHz, and from 2110 to 2155 MHz. It’s dedicated to just this band, so it won’t work for other 3G networks, or for voice calls on T-Mobile. Rather than an external antenna, the NextivityÂ Cel-Fi has a Window Unit, which is placed in a window where you have the strongest signal. This makes set-up a breeze – you don’t have to go outside or up on the roof and pole mount an antenna. Just find the window where you have the best signal, and plug in the Window Unit. 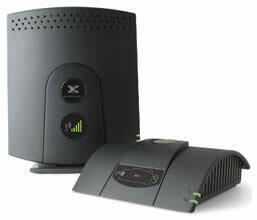 The Nextivity Cel-Fi is completely wireless. Completely. There is not a single length of coaxial cable to run, making set-up even easier. The Window Unit receives the signal, converts it and sends it wirelessly to the Coverage Unit. The Coverage Unit converts it back, amplifies it and then broadcasts it around your home or office. This means the Nextivity Cel-Fi can be setup in under 5 minutes – just plug the two units into the power and it’s done! The Nextivity Cel-Fi has a massive 13,000 sq ft of coverage. Our traditional kits which cover this kind of area cost over $1200 so at $545 the Cel-Fi represents great value of money. If you have any questions about the Nextivity Cel-Fi T-Mobile Booster, then please contact us. 1710 to 1755Â MHz, and from 2110 to 2155Â MHz.1710 to 1755 MHz, and from 2110 to 2155 MHz. Nam: each CU can cover up to 13k sq ft of open space. In most real-world buildings it’s more likely to be around 3k to 5k sq ft.
how much range of the Coverage Unit? the power of Coverage Unit? Could you please send all relevant information on you Cel-Fi repeater. Is it guaranteed to work etc?